Hi, my name is priya. I am 11 years Girl. My father is a Cycle Rickshaw puller. My mother cleans others houses. I had no chance to go to school. some time I was going with my mother to help her. I like New Hope School. I want to be a nurse. I like to dance and also like to cook. I love our all teachers. Pray for me that I may receive Jesus Christ as my personal Savior. 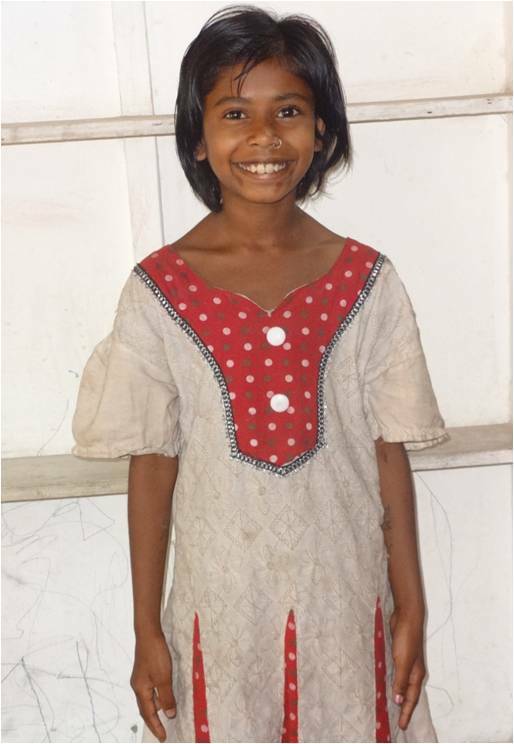 Please join us in praying that Priya and all the other students of the New Hope school will come to know the Good Lord Jesus Christ and His saving grace.